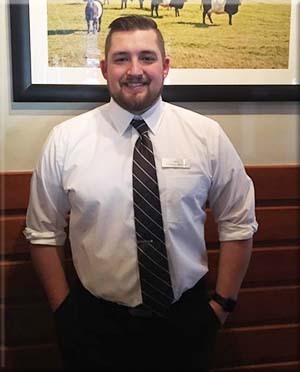 My name is Josh Chavez and I am the General Manager for Jakers Bar and Grill – Missoula. 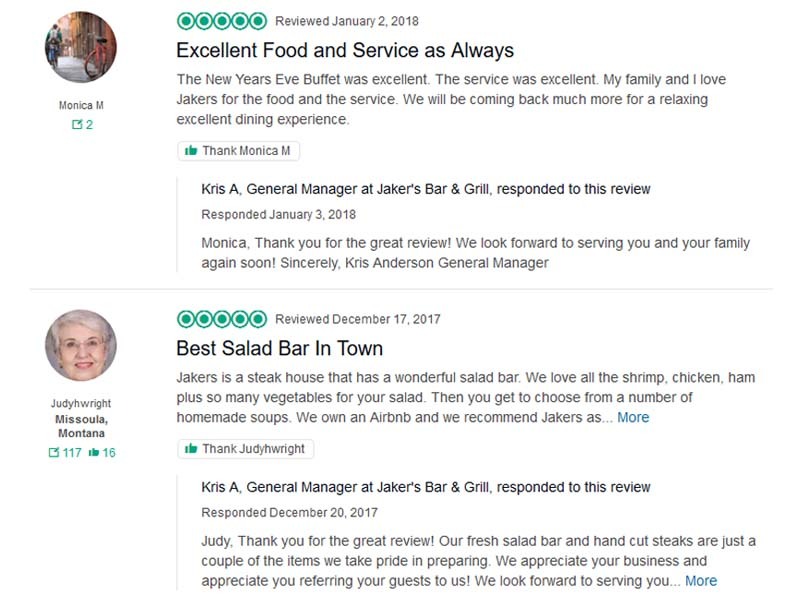 I started in the food service industry in 2006 and joined the Jakers team in 2018 as a Server and Assistant Manager. 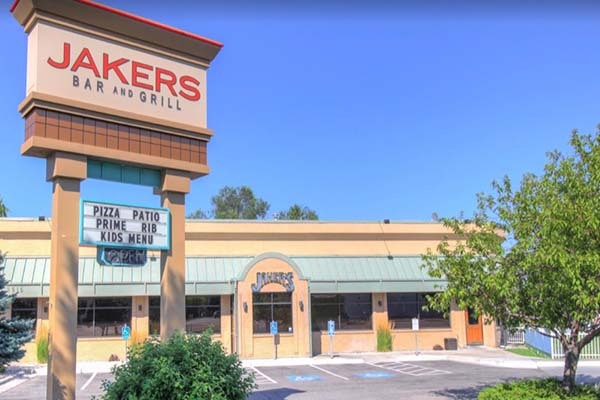 At the beginning of 2019 I was promoted to General Manager of Jakers in Missoula. 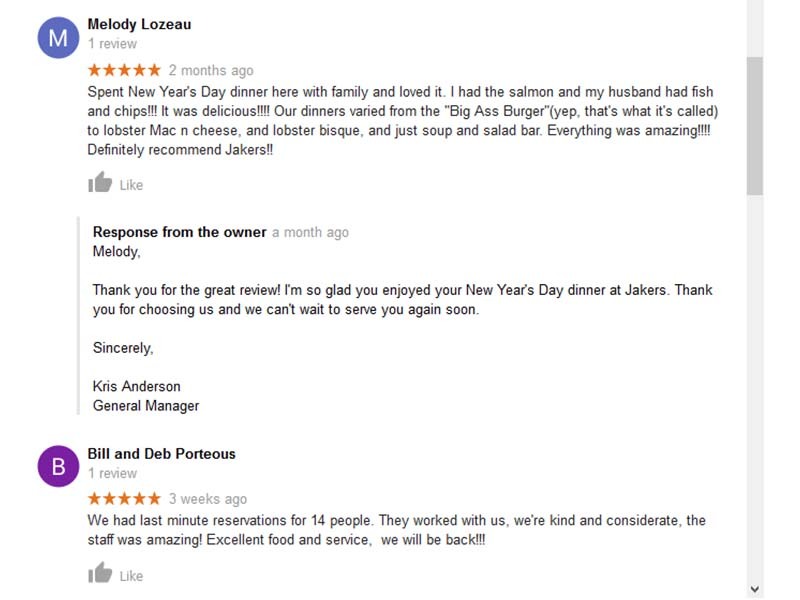 I’ve always had a passion for customer service and teamwork, making Jakers the ideal home for me. When I’m not at Jakers you can find me on the mountain, hiking, hunting, skiing and fishing with my wife Alyssa and our two dogs. 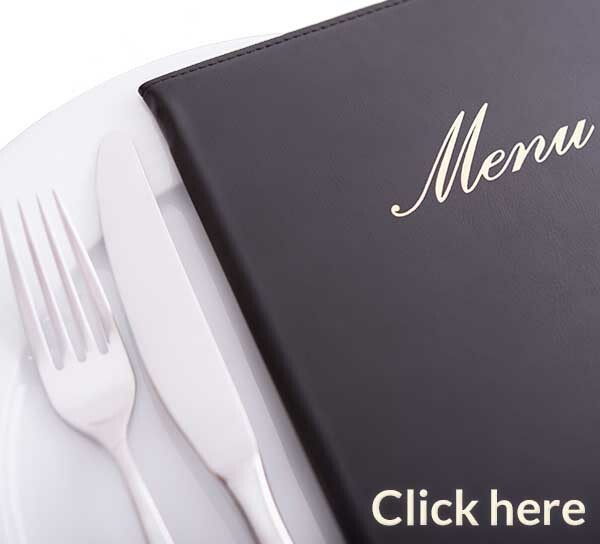 Reservations – call: (406) 721-1312 …Or use our Online Reservations App higher on this page. 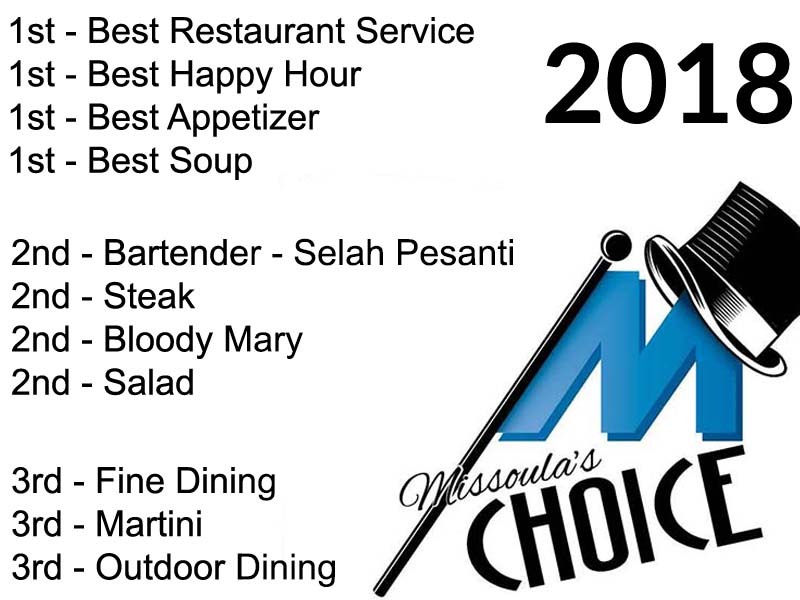 Jakers of Missoula: 5-Star Trip Advisor reviews, 5-Star Google reviews, and multiple time Missoulian's Choice Award winners! What makes our Missoula Jakers unique? 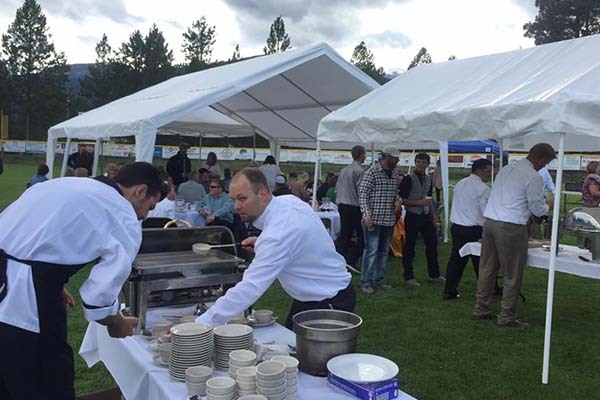 The Jakers Missoula location was established in 1997 and offers a full catering service. 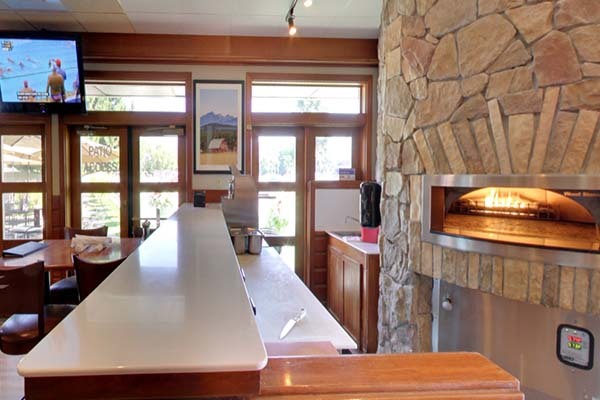 We have a stone fired pizza oven which makes delicious pizzas in eight different varieties. We have a stream that runs by the restaurant next to the patio so in the summer, you might find yourself sitting next to a friendly, yet feisty duck. 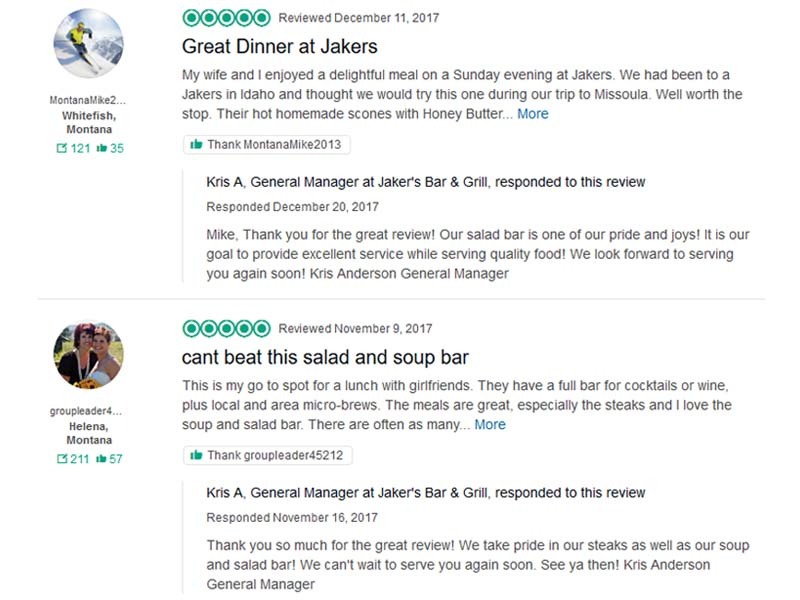 What makes Jakers in Missoula stand apart from the rest? We offer a delicious salad bar with seven different soups, fruit, veggies, and an endless varieties of salad offerings. 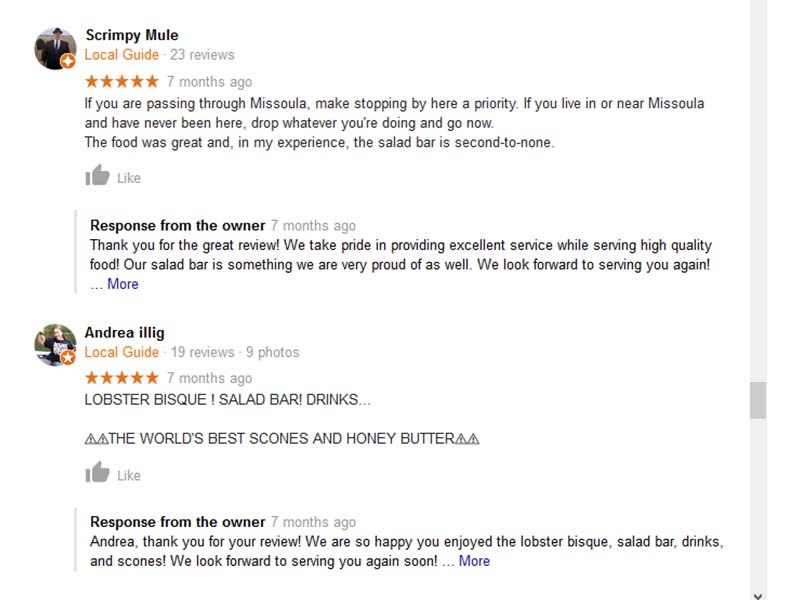 We are known for our delicious Lobster Bisque and fresh, hot scones with honey butter. 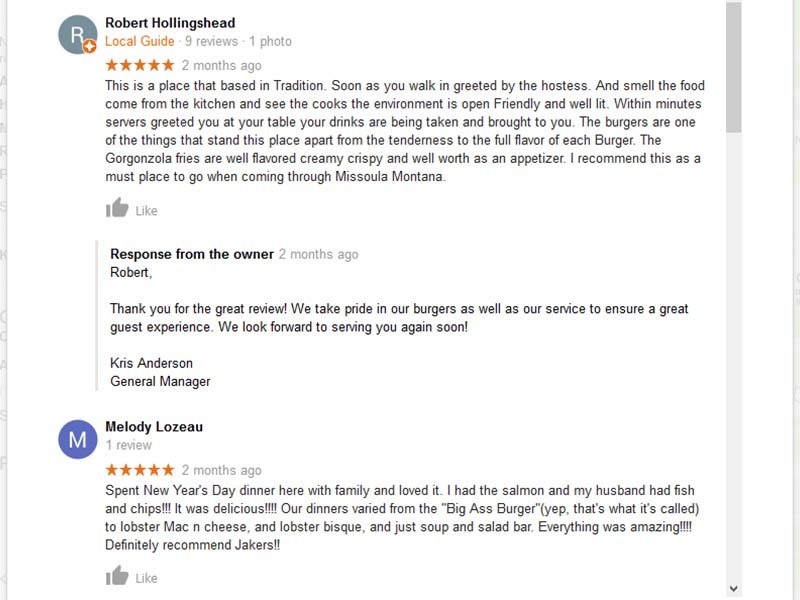 Our Missoula customers love our clean and relaxed atmosphere. 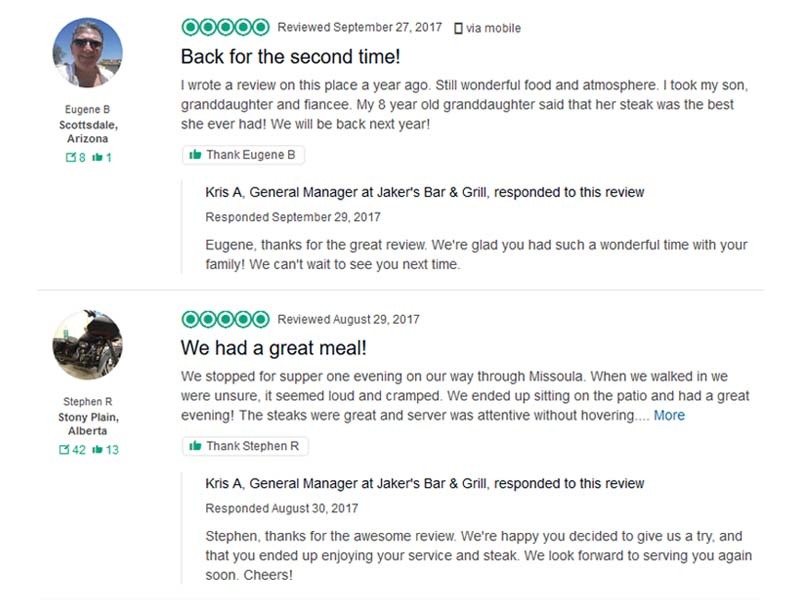 Inside our Missoula Jakers location, you’ll not only find the best restaurant team in your local area waiting to serve you, but you’ll feel the stress from your busy day fade away as you’re guided to your table – or to the bar. 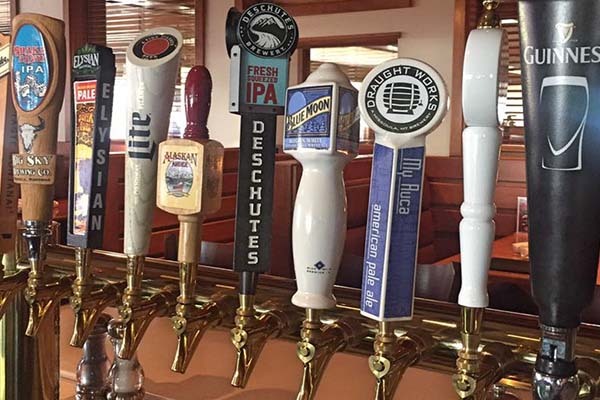 Wedding rehearsal dinners, retirement parties, business meetings, etc. We have group seating for up to 45 people in our banquet room. 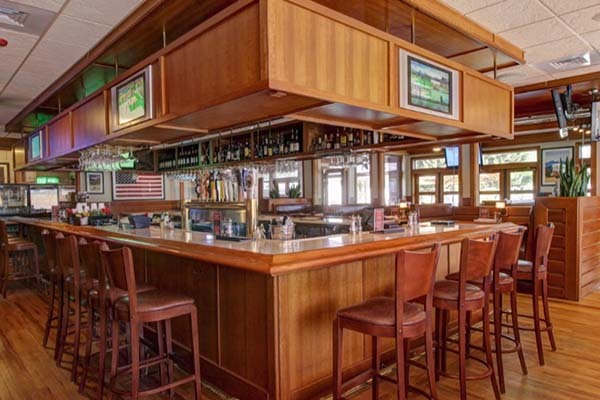 There’s always ample seating in our bar area – or grab a booth for more privacy. Break the ice on your date-night with our relaxed environment. 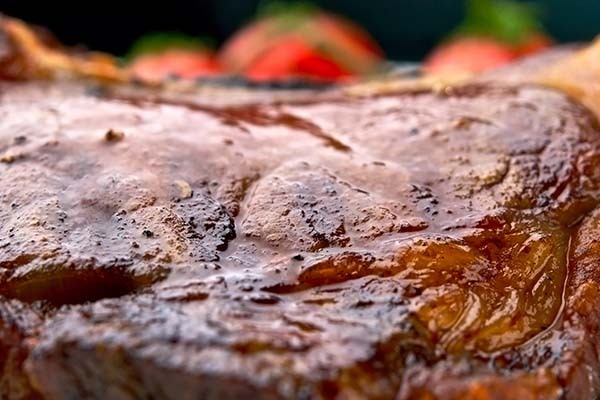 “Carry-Out Catering” – Large portions of our great food – to go. We’re located about 1 minute East on Hwy 12 (Brooks St.) just after the Hwy 93 (S. Reserve St.) Junction. Or, take Exit 105 off of I90, go South on N. Van Buren St., take a right on E. Broadway St., then go South or left on Madison St. until you cross over the Clark Fork River. After crossing the river, take the right split onto Arthur Ave. and continue onto S. 5th St. E. …Continue heading East on S. 5th St. E. until turning left onto S. Higgins Ave. Take the right split onto Brooks St. and follow it until you see Jakers on the right at 3515 Brooks St.